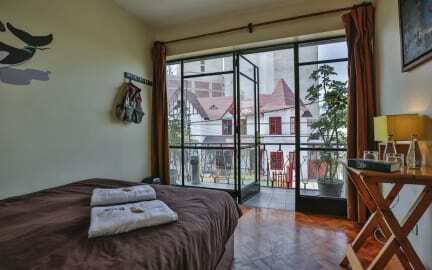 My Dad and I spent 2 nights in Kokopelli in Lima - it was a perfect place to stay. It felt sociable with a lovely bar but at the same time the dorms and rooms were quiet, clean and comfortable. Perfect location as well with Kennedy Park just around the corner. Great place to stay. Great staff, decent rooms, and good location. 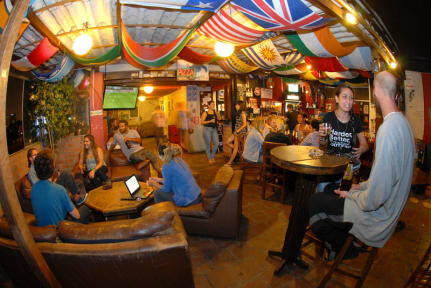 Great hostel with a great bar, perfect for meeting people. Staff allowed me to shorten my booking which I really appreciated. Good hostel, nothing special. Miraflores is a nice area. Free breakfast-eggs, bread and coffee. At night the bar is the place to hang out. There is no non-party/drinking area to hang out in. Live music on Tuesdays. The dorms have curtains and couldn’t hear the music (from the 6bed girls dorm at least). Friendly staff. It's a pretty great hostel in an excellent location. The staff are so nice and go out of their way to make your stay great, we really liked Nicholas, and the Argentinian girl and American guy working at the bar! The thing we didn't like is that the private washrooms for the private rooms were not in the room, but across the hall, and you have to unlock/lock it every time you use it... For the money we paid (a lot for a hostel, even for a private room), this was not cool, so inconvenient.